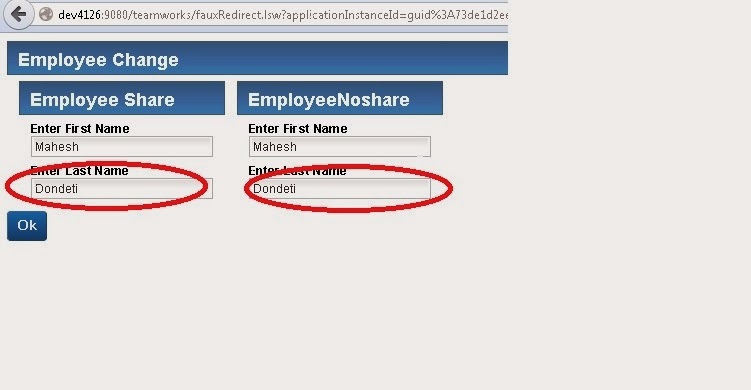 Shared Business object values should be accessible to other instances at run time. Shared business objects only apply to a complex structure type. The data within a shared business object is shared between business processes and tasks. 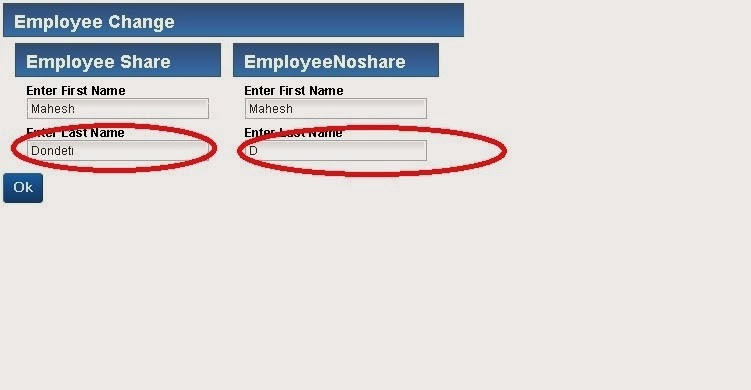 This Scenario display a employee details on simple coach .One employee variable is shared Bo type and another one is unshared Bo type. 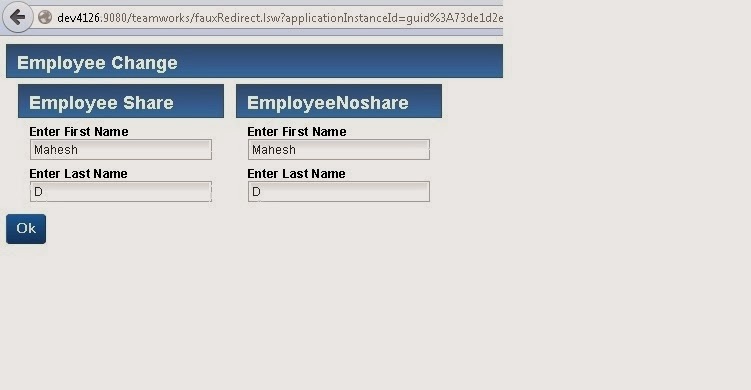 This is first coach which is displaying the default values and click on ok button.Then flow will create a token on Employee1 (Usertask ) and Employee1(Usertask ) as I used parallel gateway it will wait until two tasks done. Click on Ok button then flow waits at Edit Employee2 HS out put. Run the service. If you observe the above coach the value which I changed in EditEmployee1HS is affected to Employee Share BO because it was shared business object type. Thanks for reading .I hope this post helps you. So far this is my best effort to explain. Please correct me if I do anything wrong.